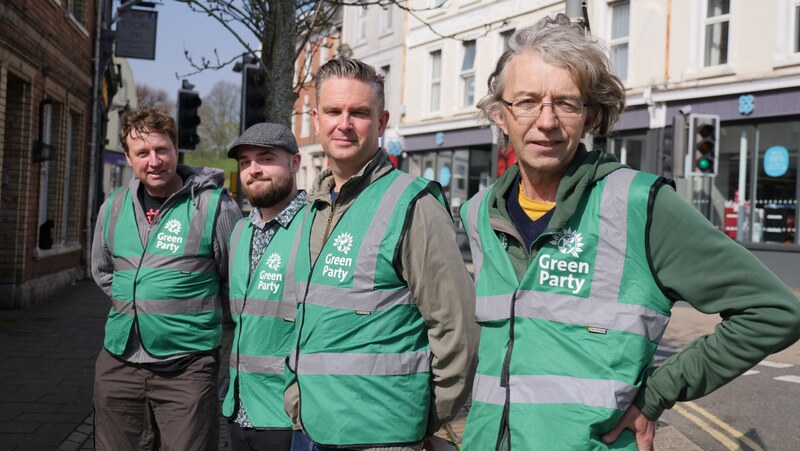 Welcome to the Plymouth Green Party! The Green Party has big, bold ideas to create a new Britain that we can all be proud of. We aren’t afraid to hope for a better future or to be honest about how we get there. We believe in being brave, in speaking our minds, and in standing up for what matters. We are proud to do politics differently. Supporting Business to go Green: We'll create a "Green Innovation Fund" to help businesses make eco-adaptations and generate jobs. Pesticide-Free City: Pesticides impact our health and damage biodiversity, contributing to loss of pollinating insects. WE would radically cut the Council's use of these hazadous chemicals. Sustainable Transport & Clean Air: We'll promote measures to reduce vehicle dependancy and provide better options for public transport, cycling & walking. Renewable Energy: We will campaign locally and nationally to increase the use of renewable energy within homes and businesses. Protecting our Ocean: The Council's "Marine Park" proposal is simply a branding exercise - we'll ensure the plan also delivers improved environmental standards.